Scott Hastings is a Scottish Rugby Union player. He won 65 caps at centre for Scotland from 1986 to 1997. 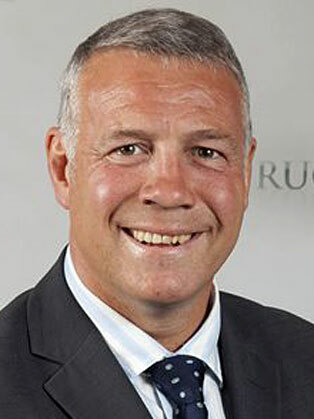 Scott is the younger brother of Scottish great Gavin Hastings. They both earned their first cap on 17 January 1986 against France. When he retired, he was Scotland's most-capped player ever. Twice a member of the British Lions in 1989 (Australia) and 1993 (New Zealand) where he suffered a shattered cheekbone and did not play against the All Blacks. Scott undertakes numerous speaking engagements and motivational seminars for blue chip companies. His main focus of his seminars concentrates on how teams work. He uses VT to illustrate the dynamics used in team sport and shows how these dynamics are similar to those used in day to day business. From communication to planning, Scott presents a compelling case on how we all react under different pressures within the workplace. He is happy to speak to senior managers in developmental workshops or at sales conferences as a motivational speaker. Other areas of focus include common purpose planning (CPP); a unique model developed by Scott, that recognises the importance of an organisation’s goal and the personal aspirations of the individual members of that organisation that helps develop a culture of common understanding, desire and energy. He is equally at home explaining the issues of change management, responsibility and accountability. Scott is a dynamic speaker who uses AV and VT to highlight his work. A powerpoint presentation is provided and he is happy to mingle with his audience to ensure 100% attention. Humour where apparent is used throughout!